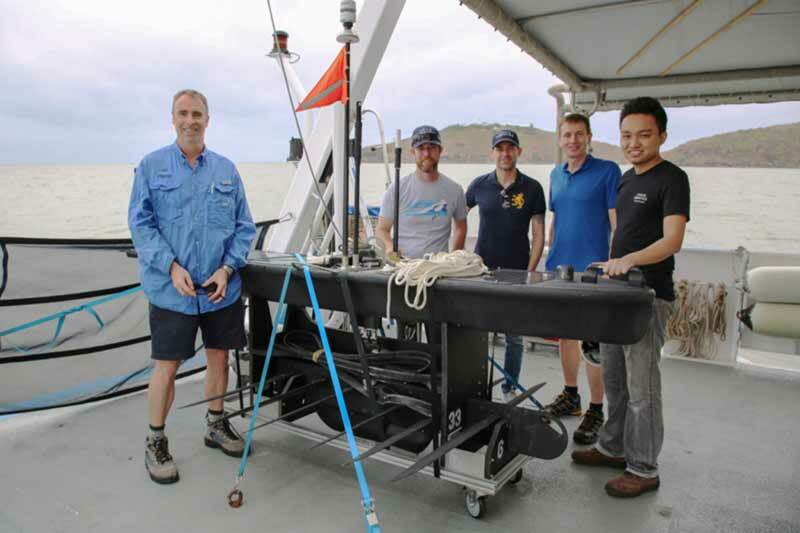 The Australian Institute of Marine Science (AIMS) has demonstrated how a high‐tech autonomous ocean vehicle can improve monitoring of the Great Barrier Reef and coastal waters, in partnership with Boeing. During a recently conducted seven‐day trial, the vehicle covered 200 nautical miles (~1.85 km) of the central Great Barrier Reef. This is the first major milestone of a five‐year joint research agreement between AIMS and Boeing. The vehicle called Wave Glider is developed by Liquid Robotics, a Boeing subsidiary. It was deployed at the Great Barrier Reef to help assess the health of the coral reefs and ecosystems. It uses wave motion for forward propulsion. A solar thruster is available for extra speed when needed. The additional directional thrust increases mobility and precision and helps to navigate challenging ocean conditions, or accommodate mission changes. The solar energy system also recharges batteries that power sensors. Travelling along the ocean’s surface, the vehicle provides continuous, real‐time environmental ocean data using a suite of on‐board sensors and software. Its measurements can include weather, wave heights, water salinity and pH levels, chlorophyll and more. The technology allows the measurement of atmosphere and water over long periods of time because the vehicle can operate at sea for several months at a time, while following a programmed course or being piloted remotely. The autonomous nature of the vehicle frees up human resources to focus on science and not the logistics of collecting data. The head of Data and Technology Innovation at AIMS, Dr. Lyndon Llewellyn said researchers were still analysing data captured by the high-tech vehicle. “We are impressed with the number of different measurements it could conduct at the same time and its ability to transmit the data back to our base immediately and reliably while navigating and performing its mission,” Dr. Llewellyn said.